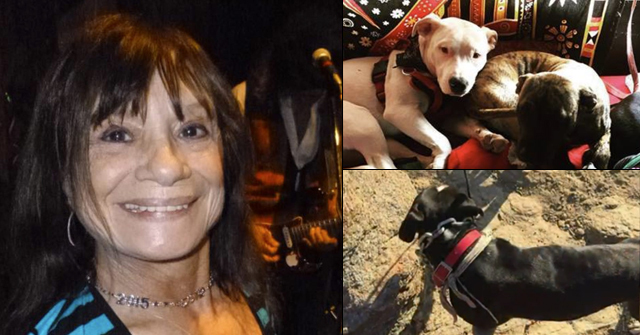 Louise Hermida, 75-years old, was killed by a dog she adopted six years ago. UPDATE 02/13/17: New information has been released. The mastiff was not recently adopted as many news groups reported earlier. New York City Animal Care and Control said the dog was adopted from their shelter nearly six years ago. The dog was one year old at that time. Also, the victim's next-door neighbor, Rosa Ortiz, said that Hermida wanted to turn in the dog because it attacked and killed a small terrier 10 days ago. Sadly, she did not return the dog soon enough. Ortiz was the first to arrive to the scene after the brutal attack. The victim's son, who was also injured by the dog, alerted her to the attack. Ortiz called 911 then entered the victim's home. She found Hermida lying on the basement floor, reports DNA Info. "She had blood all over her. It was really bad," said Ortiz, who said Hermida was still conscious and speaking as they waited for an ambulance. She was pronounced dead at New York Presbyterian Hospital five hours later. Queens, NY - An elderly woman was killed by a mastiff she recently adopted from an unnamed shelter or rescue. 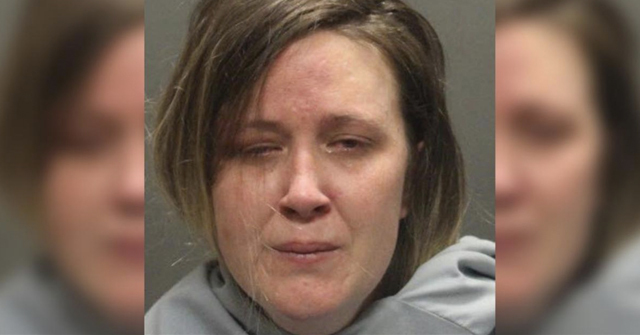 The animal also attacked her 39-year old son with special needs. Louise Hermida, 75-years old, had planned to return the dog as soon as Monday due to its aggression, according to multiple news reports. Hermida never had that chance. 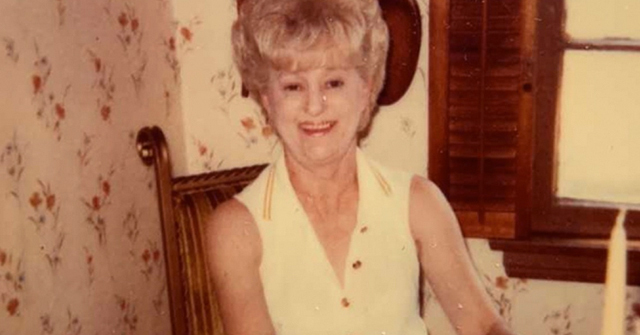 She was fatally attacked by the animal in her townhouse on 27th Street in Long Island City just after midnight Monday. Hermida suffered severe trauma to her upper torso, according to police. She was transported to New York Presbyterian Hospital, where she was pronounced dead at around 6 am Monday. Her 39-year old son, Daniel Ferraro, was also attacked by the dog in the lower left leg and was taken to a hospital with non-life threatening injuries. The animal was sedated by New York Emergency Service Unit officers and is currently in the custody of New York City Animal Care and Control. 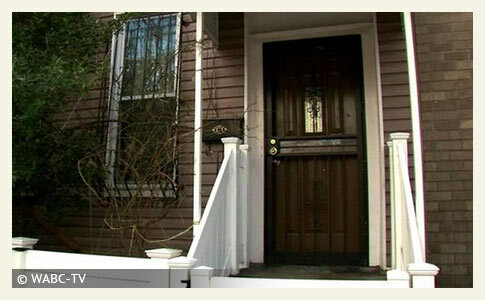 The New York Daily News quotes neighbor Jean Vontas, who said that Hermida had "too many dogs" at her home. "I never knew if they were baby sitting the dogs -- they were always walking the dogs up and down," Vontas told the Daily News. While it is unclear what that statement fully means, it seems clear enough that a 75-year old woman is a poor adopter choice for a dog that can grow to over 200 pounds. Also, NBC New York reports the dog is a mixed-breed mastiff. Since 2015, dogs "vetted" by passing temperament tests have killed two people. 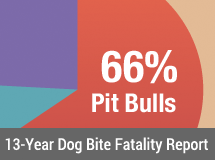 In July 2015, a 6-year old boy in North Carolina was killed by a male, neutered pit bull that was rehomed by the Asheville Humane Society 3-weeks earlier. The pit bull had passed the SAFER temperament test. In April 2016, a male pit bull-mix rehomed by the San Diego Humane Society killed a newborn. That dog also passed an assessment test prior to being adopted to the family 5-months earlier. Since 2015, at least two dogs rehomed by shelters or rescues with an unknown or non-existent vetting process have killed as well. Anthony Riggs, 57, was killed by a rottweiler in November 2015 just hours after adopting the dog from a county pound in Tennessee. Eugene Smith, 87, was fatally attacked by his rescue pit bull while taking down his Christmas tree in January 2015. His family had adopted the dog 7-months earlier from an unnamed person or rescue in Maryland. More info has been coming out about this, the mastiff had already attacked a smaller dog recently, the neighbors were terrified of it, sounds like this was going to happen sooner or later, I'm just glad it wasn't a child or neighbor. Yes — information is rapidly changing about this attack and has been all morning, including the invalid information about ASPCA. Very sad. As is so often the case, the comments on the articles saying how it wasn't the dog's fault, speculating about his treatment, and hoping for him to not be euthanized and be rehabilitated are shocking and frustrating. Honestly, even if this woman bought the dog 6 years ago, that means she would have been 69 years old; far too old to own a bully breed imo. (No one should own them of course, but especially not the elderly.) And this is other reason why I hate shelters. What idiots would allow a woman of that age to buy such a powerful, dangerous, animal? Just give her a little Maltese or something, not a giant dog with killer instincts. If she was a dig hoarder, as the neighbors appear to think, she shouldn't have been given any new dogs. The neighbors "always heard barking." What about quality of life for all other neighborhood inhabitants? No one has a photo, yet, of the dog? If I heard constant barking, the dog owners would be seeing me in court. True enough! She was still 69-years old. In January, a county shelter in Florida adopted out a hyper pit bull to a 90-plus-year old woman. Then, after she returned it for being "too much for her to handle" (it was a bad adoption obviously), the shelter counted it as an "owner surrender" instead of a "return" to make their numbers look better. County shelters just get more and more reckless and its primarily driven by obtaining a high save rate. Safety for the general public and the adopter is simply gone. This could not be better expressed than adopting this "hyper" pit bull out to a 90-plus-year old woman. It is time to start suing animal shelters, humane groups, and rescuers. They need to be held responsible for the carnage they're causing. Agree! YQN It is past time!!
" Often referred to as “gentle giants,” mastiffs originally were bred as war and guard dogs." A Mastiff just killed a woman, they were bred to fight, but they are gentle giants. Other news articles are saying that the son is autistic. He has a brother who, in one article, is credited with saying that his mother died of a heart attack, and, in another, that she had cancer, was stable in the hospital and her heart stopped. Great Danes are often called gentle giants, I've not actually heard mastiffs referred to as such. I suppose once a term like that is applied to one large breed it starts to bleed over into others (like the "nanny dog" term that originally came from UK Staffordshires and then was applied to APBTs). I still can't get over the fact they let a elderly woman adopt a dog that was, without a doubt,way too much for her to handle. Stupid. That is consumer fraud, pure and simple. That dog could have easily bumped her, knocked her down, and broken bones simply because of his size. But he was huge AND aggressive. Good grief. I agree that the adoption center should be held liable for some kind of negligence. That's just insane. Another horrible tragedy… This poor woman did have the sense to recognize the dog's aggression and want to return him instead of thinking she could rehabilitate him on her own. If only she had done it sooner. And in cases where aggressive dogs are returned to shelters, I wonder why the owners didn't just take the dogs to the vet to be euthanized. Do they hope the shelter will rehab the dogs? Do people really think every dog can be saved? And here again, we see that the assertion so many make about human aggression not being linked to animal aggression is wrong. Again and again after a dog kills a human we learn that the dog had previously killed an animal. People used to have sense enough to think that maybe a dog that killed an animal (and I'm not talking a terrier killing a rat but more along the lines of a dog killing another dog or something larger) could be a danger to people as well.